If you’ve ever had fresh homemade ice cream, this picture should hit you right in that part of the brain where childhood memories are enshrined. 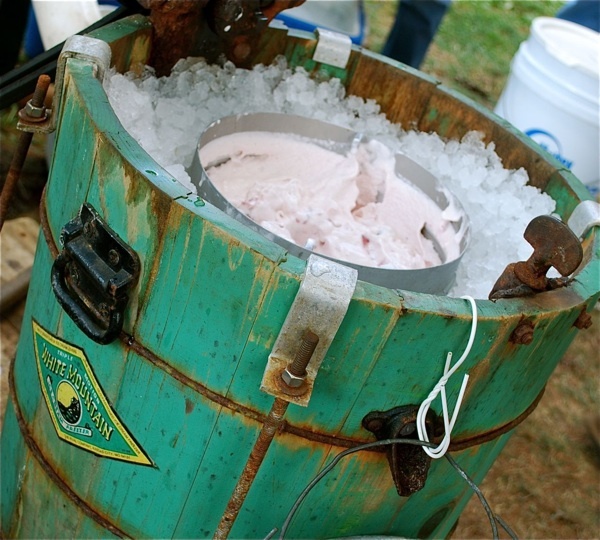 A terrible thing happened to ice cream since the above White Mountain ice cream maker was first forged. Today most ice cream ingredient labels lead with “modified milk ingredients” – and it’s becoming harder and harder to find ice cream made with cream. If you look closely you’ll even notice that some brands of “ice cream” are no longer legally allowed to use the words “ice cream” on their packaging. So if you’ve ever thought about making your own ice cream, now is a good time to start learning the craft. Building your own ice cream maker out of a 5 gallon bucket is beyond my own mechanical expertise, but I’m sure I have highly capable readers with an idea of how to put one together. I’ve provided this simple diagram which shows the core components of an ice cream maker. 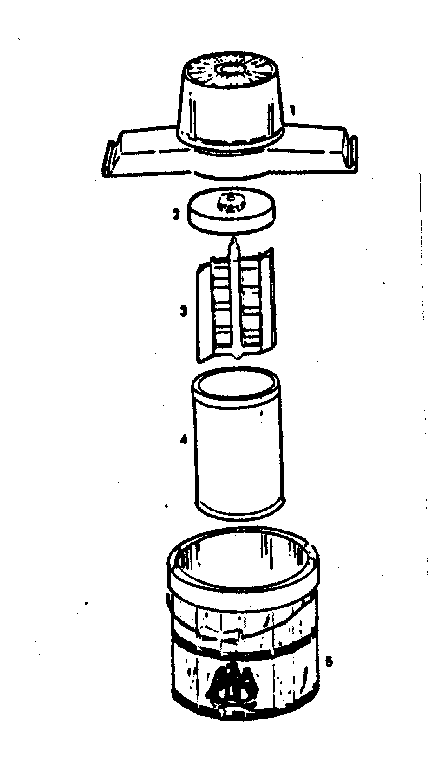 component 2 – canister cap. Contains a hole allowing the axle from the beater blades through into the motor. component 3 – beater blades. Made of wood or metal and are fit to within an inch of the canister walls, allowing for the cream to move a bit. component 4 – ice cream canister. Contains fresh cream and sugar. Must be made of metal to allow even distribution of coldness from the ice. component 5 – bucket. This is where you can use your 5 gallon plastic bucket. The pail should have a sized groove at the bottom to hold component 4 in place. Once component 4 is inside, it is filled to the brim with ice chunks and rock salt. Our old wooden ice cream, similar to the one pictured up top, finally fell apart after being passed down by several generations. Although ice cream prices continue to rise, especially for real ice cream, home ice cream makers are getting cheaper and cheaper. Today, you can get motorized ice cream makers for around 30$ on sale. My ice cream making ancestors would have killed to have motorized dessert. Of course these ice cream factories not designed to last a hundred years like our old one was. But if cream stays cheap and ice cream stays pricey, it could pay for itself after just a few uses. And it’s sure to be a lot healthier than the mass produced supermarket stuff. And according to this new Paleo craze, heavy creme is now good for us again. So what are you waiting for! 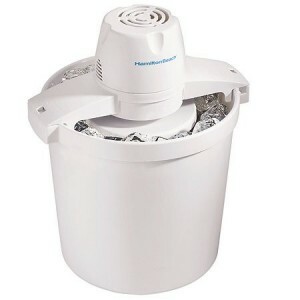 can you help me find acomplete 6 quart drum for a Richmond ice cream maker Model 71? I have the bucket and motor need drum.